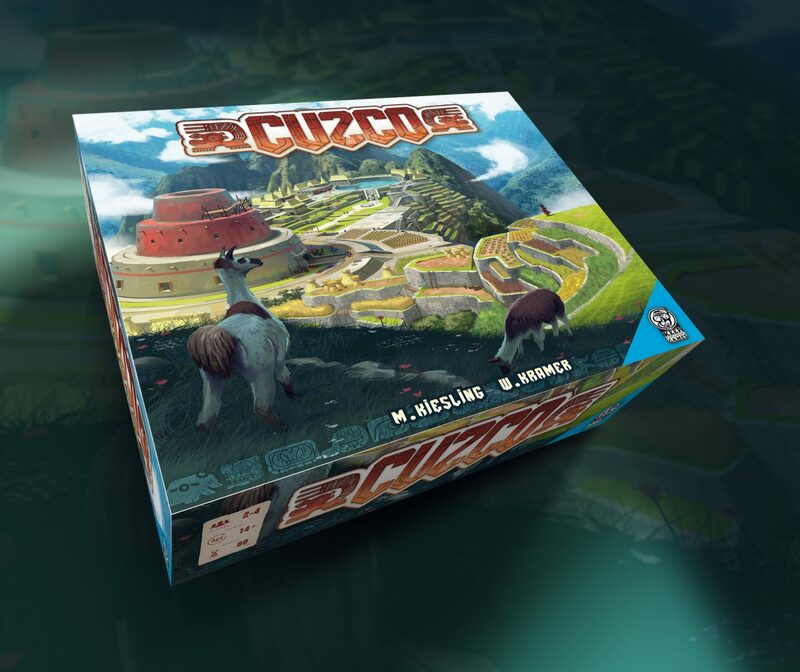 In Cuzco, players will build up the land full of villages, cities and crops. They will build and expand temples, organize festivals and create ponds. Like Tikal and Mexica, players will have a number of action points (6) they can use each turn to accomplish these matters. Victory points are awarded when a pond is enclosed, when a festival is organized and at game end. The player that has an Inca at the highest position of the city in comparison to the other players takes the points.